Spring is upon us once again and there is much to do in the garden and hopefully time to plant flower and bush pollinators for the bees and other insects. Our garden has several attractants such as pink and white heather, a mystery highly fragrant bush by our front door, a rhododendron and a cherry blossom next door for starters. 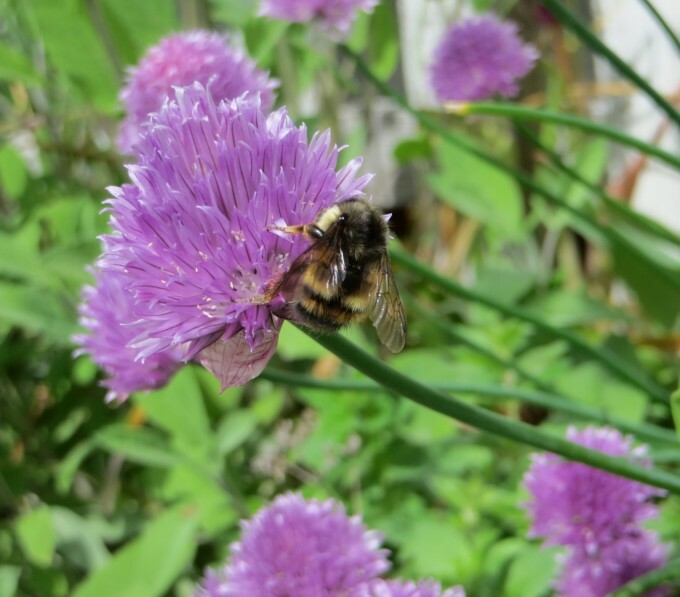 Here’s a few planting suggestions on how we can all help the bees. 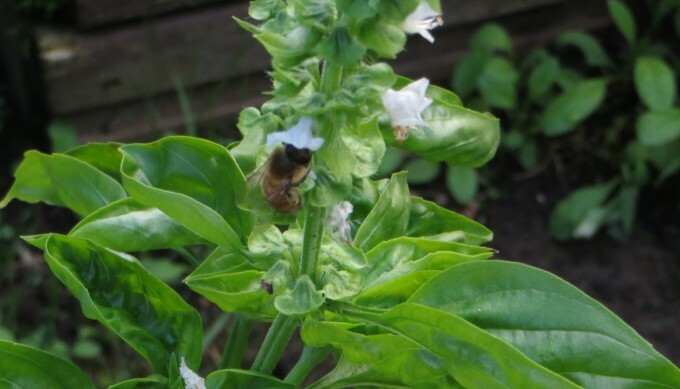 Later in the spring / summer Mint begins to blossom and seems to attract wild bees and other insects to the flowers. 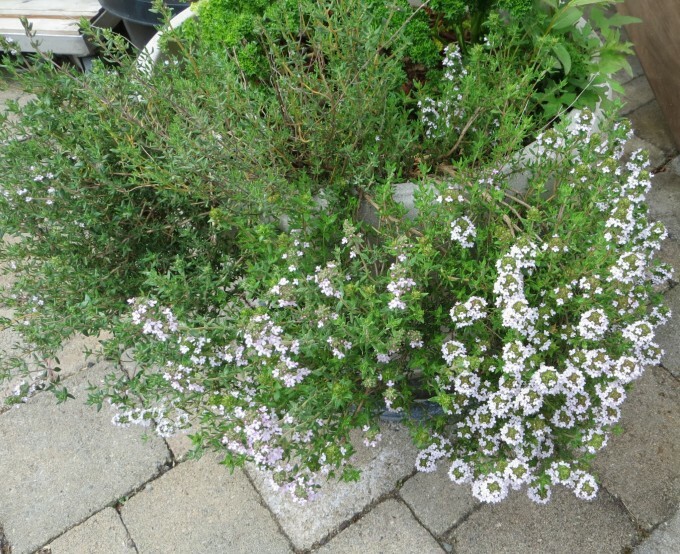 This fragrant herb should be potted as it can take over your garden. Without enough protection in our cold winters it can be a challenge to grow these herbs some years. Now we have a greenhouse, potted herbs will overwinter there. My first choice vegetable to grow for flowers is the Scarlet runner bean – I start the seeds inside in April / May for transplanting out when temperatures warm up. This is my main recommendation because it is a fast grower and not only attracts bees and other beneficial insects but the hummingbirds can always be seen making their daily visits. Beans also have the benefit of producing over a long season, remaining prolific as long as the beans are picked. It will continue to flower until killed by frost or snow. It is also a great kid friendly plant to grow. Every year I save some seeds for planting the following year and have done this for decades. 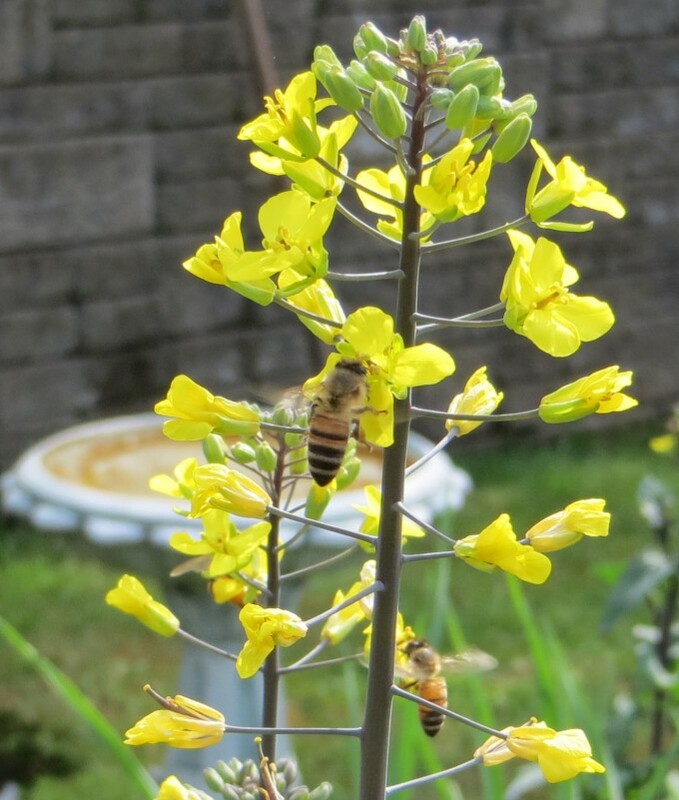 This spring I have planted Bee Blend Wildflowers specifically to attract bees to the garden. 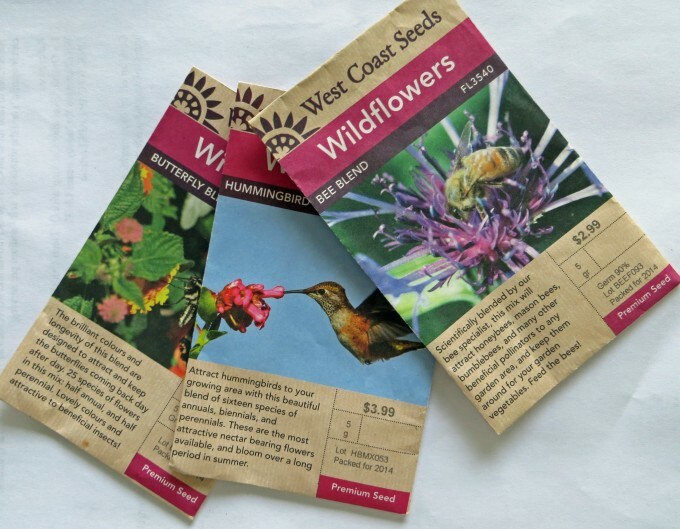 The seed packet claims the “scientifically blended mix” will attract honeybees, mason bees, bumblebees, and many other beneficial pollinators to any garden area” – sounds good to me. These suggestions are easy to plant early in our Spring and should regrow for several years. “Feed the Bees”. 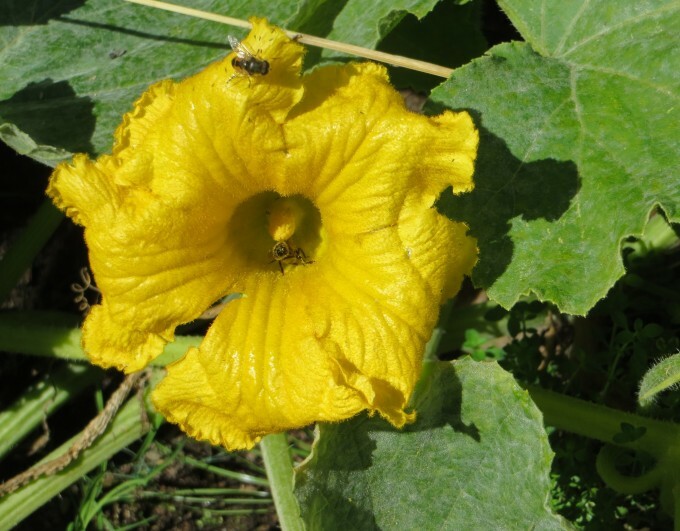 Try and combine bee friendly plants which flower over a long period and for continuous flowers in your garden, especially under fruit trees and near the vegetable garden.These are only a handful of the many plants, and flowers to choose from. Select those you love and enjoy. Recently found a ground cover called “Grace Ward” (Lithodora diffusa) which is a great addition to your garden. The plant has beautiful deep blue flowers which bumble bees are very attracted to. Plant is hardy to -12C, no pruning required and likes full sun. Easy care. The “fragrant bush at our front door” is Fragrant Mountain Himalayan Sweetbox (Sarcococca humilis ‘Sarsid 2’) which blooms early in the spring here and attracts many pollinators. Bush is hardy to -25C, partial shade to full shade, grows to about 3 feet. Classified as a winter bloomer and deer resistant! A financial alternative to the demise of the honey bee – human pollinators Note: BeABeeInc does not exist – yet!